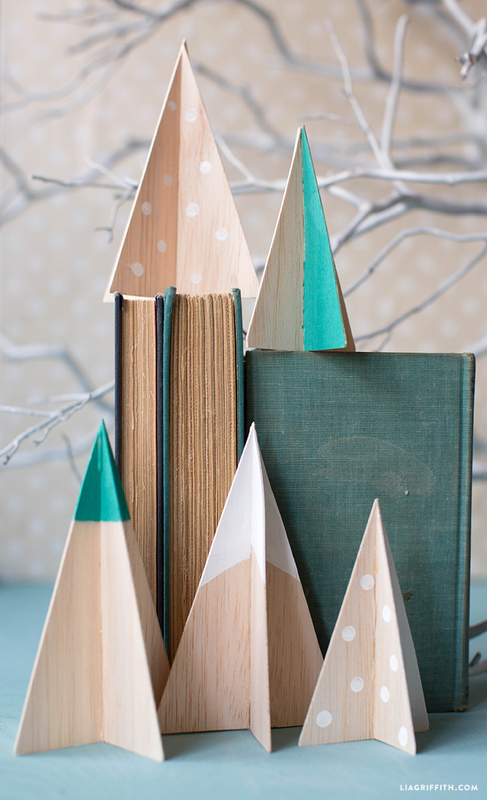 We get a little giddy over simple, striking Christmas crafts here in the studio. And if it has a Scandinavian vibe then you just know I’m going to fall in love with it! 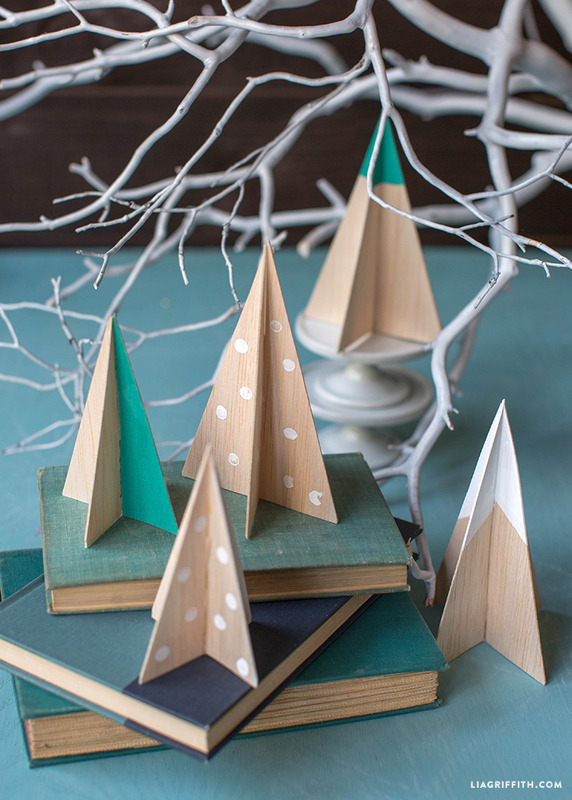 Our balsa wood Christmas tree is such a lovely decoration to make for the Holiday season. Our PDF includes two sizes of the tree. All you need to do is print out the PDF below, cut out the templates and draw around them on think strips of balsa wood – which you can pick up at your local art and craft store. Use a sharp craft knife to cut out the pattern and include the cut line down the middle, top and bottom. Then you can get to the fun bit – painting! We used a piece of dowel, dipped in paint to make polka dots in white paint on our balsa wood. We also used a paint brush to color the tops of our trees or to paint an entire side. 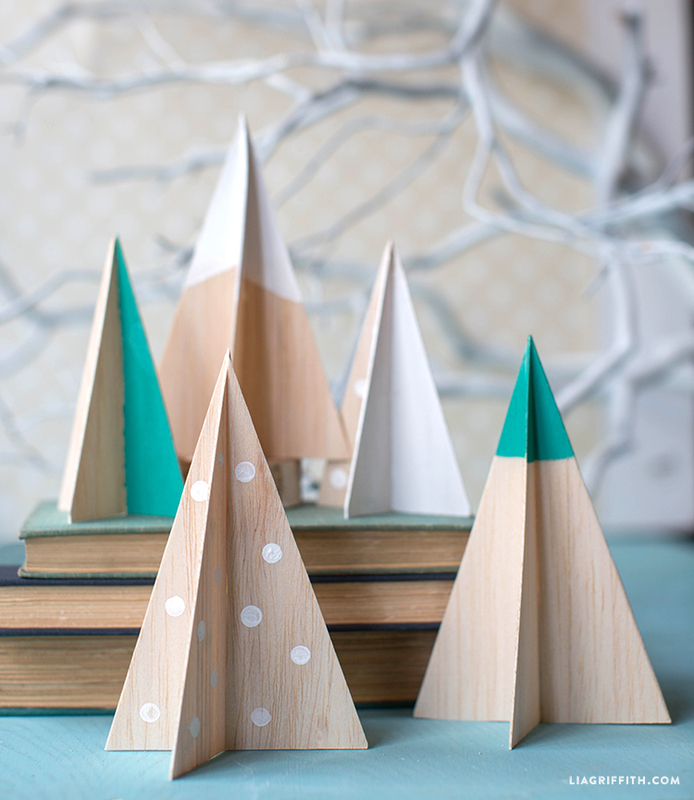 Once the paint is dry on your wood Christmas tree you can slot them together so that they stand up. Set them on a mantle, windowsill or sideboard and say Hello to the Holiday season in style!